Throughout history and even in some places today, girls have not always had the same opportunities as boys when it comes to schools and education. These picture books share the power of girls and schools to make a difference. Share one and empower a young girl (or boy) in your life! China, 1900s. 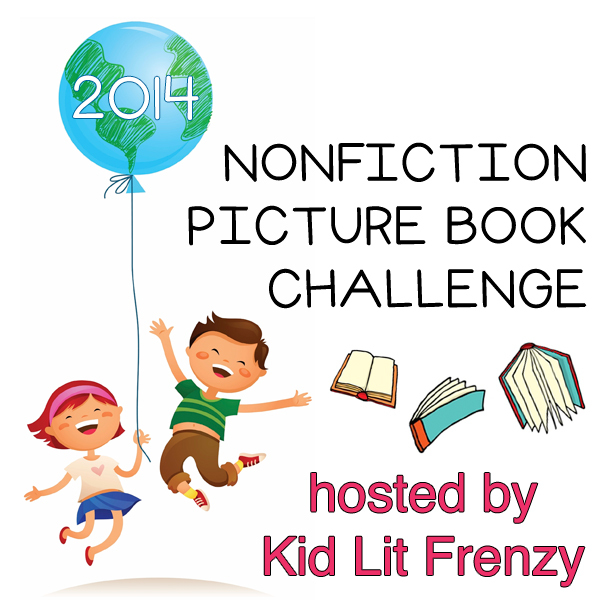 Ruby's Wish by Shirin Yim Bridges and illustrated by Sophie Blackall. (H/T Kendra at Simply Learning Together.) This story is based on the experiences of the author's own grandmother, who grew up in China at a time when all the girls in her family were expected to get married and only the boys were expected the stay in school. Ruby fights for her own education, writing a fiercely honest poem that impresses her grandfather. A story about the importance of standing up for yourself. The Great Depression, 1933. 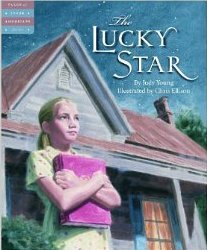 The Lucky Star by Judy Young and illustrated by Chris Ellison. During the Great Depression in the United States, many smaller schools were closed due to lack of funds and many students dropped out of school to help support their families. The Lucky Star is the story of fifth-grader Ruth who learns how to be her little sister's lucky star by teaching her and other neighbor children how to read, write, and do arithmetic after their local school closes down. This book would be a great tie-in to lessons about this time in US History. Afghanistan, 1990-2000s. 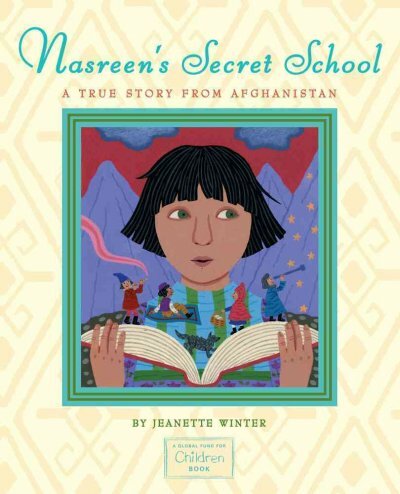 Nasreen's Secret School: a true story from Afghanistan by Jeanette Winter. Young Nasreen stops speaking after the Taliban take her parents away and close down schools for girls in Afghanistan. Her grandmother finds out about and sends her to a secret school for girls where she slowly opens up and learns the importance of knowledge. 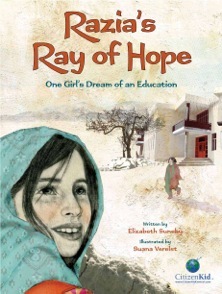 This book highlights some of the challenges facing girls who want to get an education. Pakistan, 2010s. 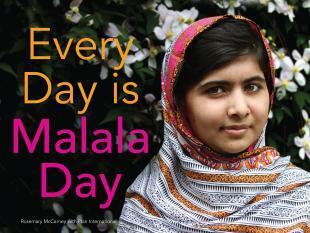 Every Day is Malala Day by Rosemary McCarney. The book opens with an overview of Malala and provides background knowledge about how she was attacked for supporting education for girls in Pakistan. The rest of the book is a photo essay that pairs letters written by girls around the world with evocative photographs of other girls and some of the difficulties they face in getting an education. 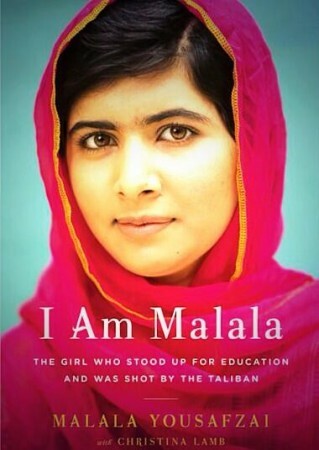 This book is a way to address the modern problems with girls and schools for students who might be too young to read Malala's own autobiography, I am Malala: the girl who stood up for education and was shot by the Taliban. I know and love each one, Katie, except the Lucky Star. What a wonderful story it sounds like! Thanks for doing the gathering of groups with the same theme. It's helpful! Thanks so much, Linda! I actually found Lucky Star at a used book sale, and it was shortly after someone had suggested Ruby's Wish, so I immediately got the idea for this post. Glad you enjoyed! I've seen Ruby's Wish around and now I want to read it. Thanks for sharing these titles! Thanks so much! They are well worth it. These all look so good. 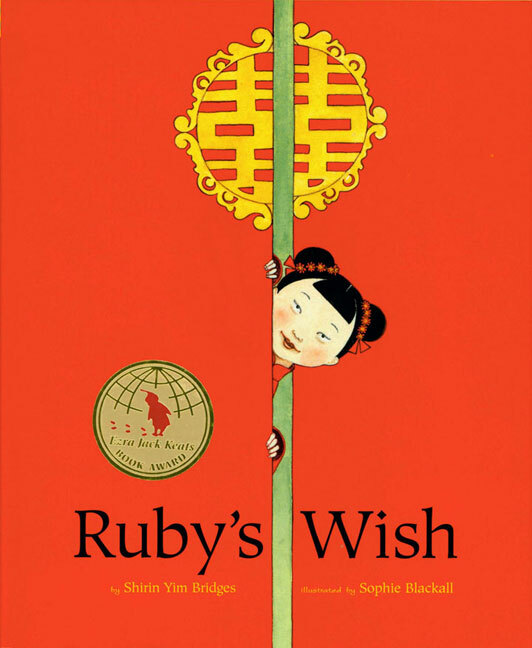 Being a fan of Sophie Blackall's makes me want to buy Ruby's Wish today. Thanks, Stacey! Love that Ruby is also based on a true story too. What a fabulous theme! I think sometimes my students just take things for granted... they need to know how blessed they are to be empowered by a good education. Absolutely, Maria! Completely agree, and I think my students sometimes find it shocking to find out that everyone doesn't have it anywhere near the same as they do. Great compilation! I love finding text set ideas! Thanks, Michele! Me too. I've been finding so many good ones lately, I thought this would be an important addition. Hello there Katie! I love your text-sets! Razia's Ray of Hope is a personal favourite - I haven't had a chance to see Lucky Star yet - will definitely check that one out. Aww, thanks so much, Myra! Razia's was a recent one for me, and it really pulled the group together.